The cost of fuel rose for the third consecutive month in September, despite the wholesale price of petrol falling by 6p-per-litre. The average price of a litre of unleaded hit a six-month high of £1.19 this week while the average cost of a litre of unleaded went up by nearly 1p a litre in September. Diesel increased by 1.34p - making both fuels the most expensive they've been since March 2017. Both petrol and diesel have gone up 2.5p a litre since the end of June. Filling up a 55-litre family car - like a Ford Focus - with petrol now costs £65.55, whereas in July the same tank of fuel would have cost £62.88. A typical tank of diesel now costs £66.17 - that's £1.34 more than it did at the end of August. While prices rose in September, the RAC is expecting a petrol price cut from retailers in the next few days due to the falling wholesale price. The drop has occurred despite oil going up 10 per cent - to almost $60 a barrel - its highest point in over two years. Unleaded prices have increased as a result of Hurricane Harvey disrupting oil refining in Texas, while rising oil prices have put upward pressure on the cost of diesel. However, the strengthening of the pound against the dollar has allowed the supermarkets to bring petrol prices down as oil is traded in dollars. 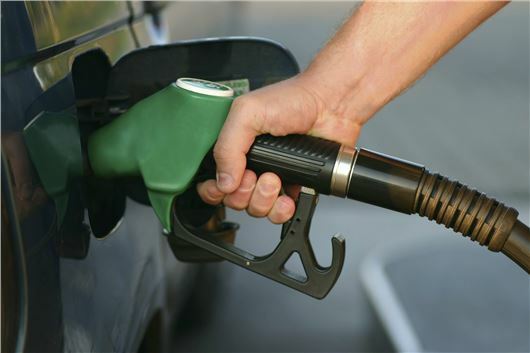 Despite supermarkets cutting fuel prices by 2p-per-litre last week, there is scope for a further round of price reductions as wholesale unleaded is 6p a litre cheaper than it was at the start of September. But, as the wholesale price of diesel is static, there won’t be any cuts there.